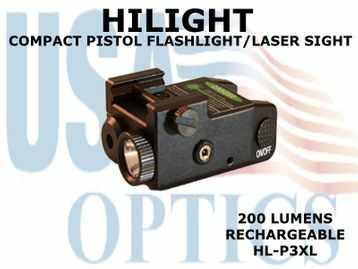 Low profile LED Flashlight and Green Laser Sight for sub-compact pistol, with tactical rails. This bright flashlight is normally in stock and therefore ships promptly. As always please contact us direct if you have any questions.